Jazz Night in America recently caught up with Miller, who skillfully demonstrates the concept of "melodic drumming" — using her drums and cymbals, a Duke Ellington tune, and a new piece of technology — in our video short. We also dropped in at Dizzy's Club Coca-Cola for portions of an engaging set by Boom Tic Boom, featuring Miller alongside violinist Jenny Scheinman, cornetist Kirk Knuffke, clarinetist Jeff Lederer, pianist Carmen Staaf and bassist Tony Scherr. In our radio show, we'll also hear from Miller about how playing in high-profile folk-rock settings (with Natalie Merchant, among others) informs her playing. We'll learn how female empowerment is thriving in the jazz community plus Miller's firsthand experiences with sexism and gender inequality in our institutions and on the scene. And we'll consider how it all connects: melody and harmony, the individual and the whole. 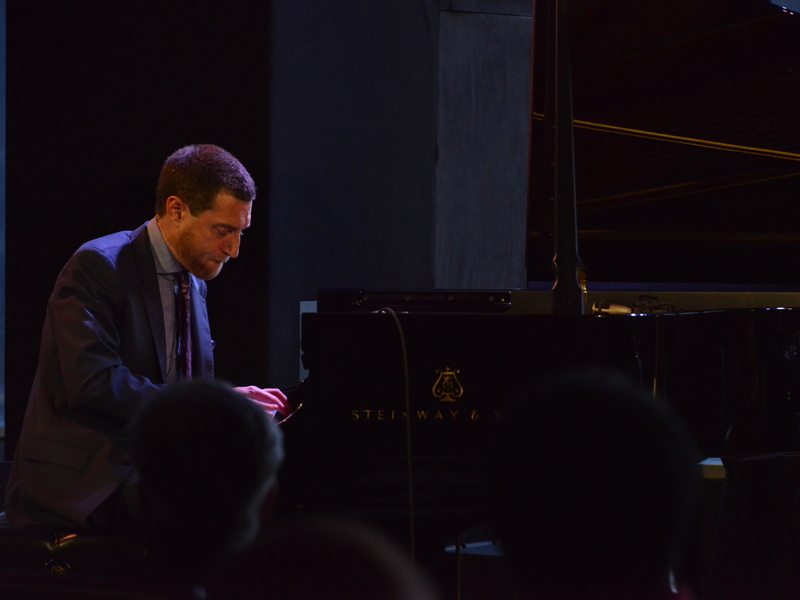 "There's something about the platform of jazz," Miller says, "that it lays this palette of having such deep communication with your other bandmates. And for me that's why I play this music." July 12, 2018. Posted by Alex Ariff. The first "destination" jazz festival took place in Newport, R.I., in 1954 — multiple days, one stage and gorgeous scenery. These days, Newport is going strong, as is Monterey in California, and the festival model has expanded to multiple stages and far beyond big-brimmed hats and lawn chairs. Still, Snarky Puppy leader Michael League saw a void and an opportunity. 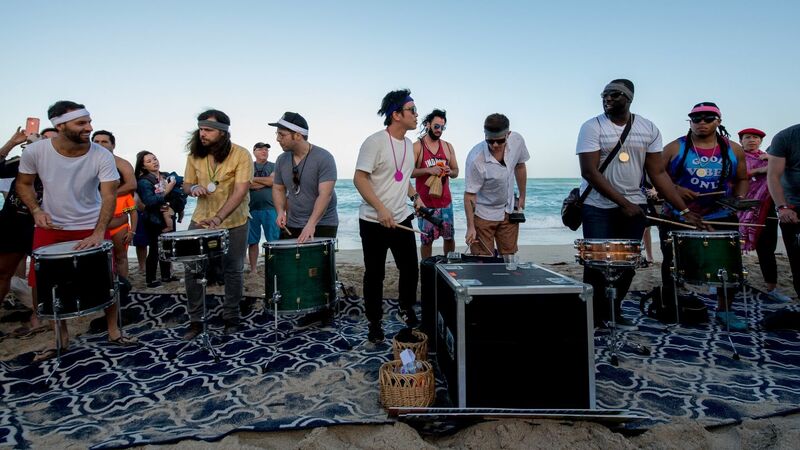 After years of performing at festivals around the world, the 34-year-old bassist founded the GroundUP Music Festival in order to bring musicians and fans together in an intimate setting: the beach. Miami Beach, to be exact. 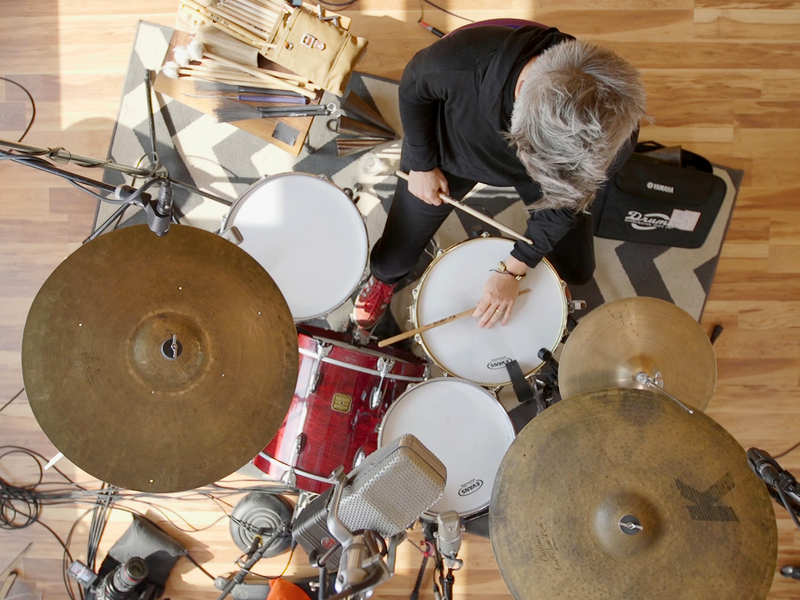 At GroundUP, "the line between stage and audiences doesn't really exist," says musician Magda Giannikou, who led a massive drum and vocal session on the sand. "It's a very interactive and creative festival. It feels like spending three days with your family." Jazz Night in America takes you to the GroundUP Music Festival, practically plopping you on South Beach for an hour of exploration. We'll get a taste of League's vision for music festivals: healthy local food, a cap of 2,000 tickets sold per day, and no overlapping sets. Our show is a sampler of sorts, featuring banjo adventurist Bela Fleck; a new quartet led by Snarky Puppy trumpeter Jay Jennings and saxophonist Bob Reynolds; some solo work by Snarky keyboardist Bill Laurance; and a funky, one-time meeting of League, saxophonist Joshua Redman, guitarist Lionel Loueke and drummer Larnell Lewis. 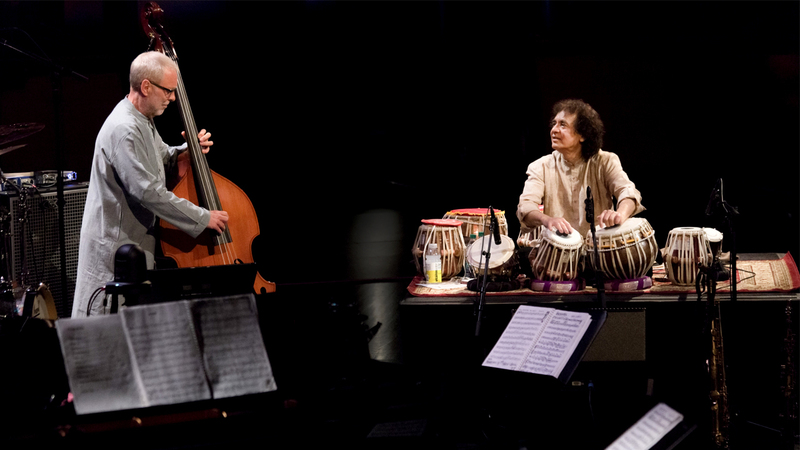 Hussain, a peerless master of the Indian tabla, and Holland, an English-born bassist of sterling jazz renown, were both shaped in some way by the 1960s, a decade of awakening and convergence. In this episode of Jazz Night in America, we'll explore the influence of Indian music on the jazz and rock scenes of that era — as well as the less familiar story of jazz's influence on the subcontinent, embodied by musicians like pianist and composer Louiz Banks. 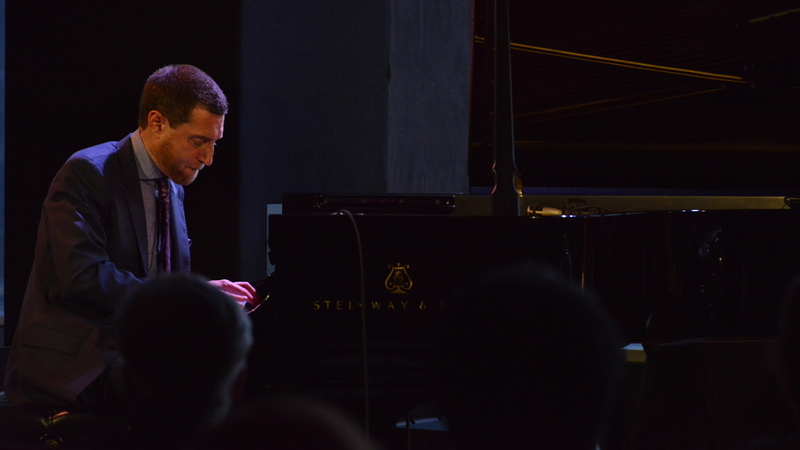 We'll hear music from a recent Jazz at Lincoln Center concert led by Hussain and Holland. Crosscurrents also features Banks, his son, drummer Gino Banks, along with acclaimed American saxophonist and flutist Chris Potter, Bollywood vocal star Shankar Mahadevan and Mumbai-based jazz guitarist Sanjay Divecha. We'll also get some valuable outside perspective from percussionist Sameer Gupta and other musicians in Brooklyn Raga Massive, which pursues a similar form of thrumming exchange. 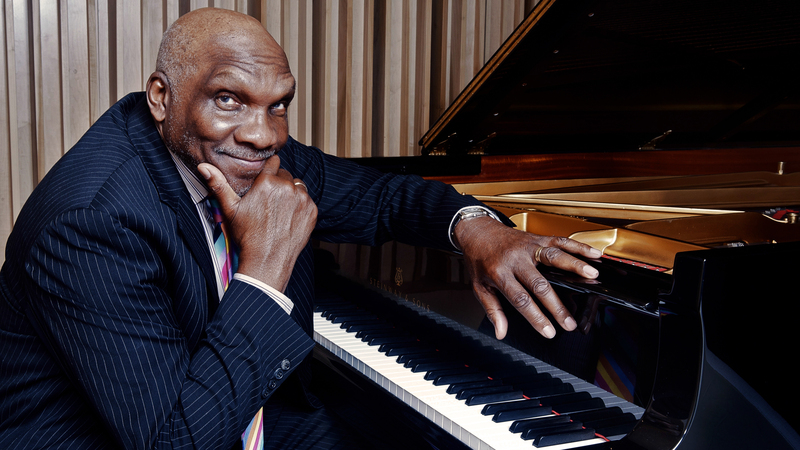 Small wonder that Mabern, who recently turned 82, has been one of jazz's stalwart accompanists over the last 60 years, a valuable yet unflashy asset for everyone from Wes Montgomery to Sarah Vaughan. In this episode of Jazz Night, we'll explore some of that history, including Mabern's early years in Memphis and his deep connection with Lee Morgan — which ended with the trumpeter's shocking death at 33. But we'll also point the spotlight squarely on Mabern as a composer and bandleader — focusing on a recent hit at Dizzy's Club Coca-Cola, where he led a trio with bassist Nat Reeves on bass and Joe Farnsworth on drums. Among the tunes in the set are "Edward Lee" and "Bobby, Benny, Jymie, Lee, Bu," both bearing dedications to Morgan. We'll also have some fun with a digression about the art of the musical quote — another of Mabern's many talents, which have a way of hiding in plain sight.